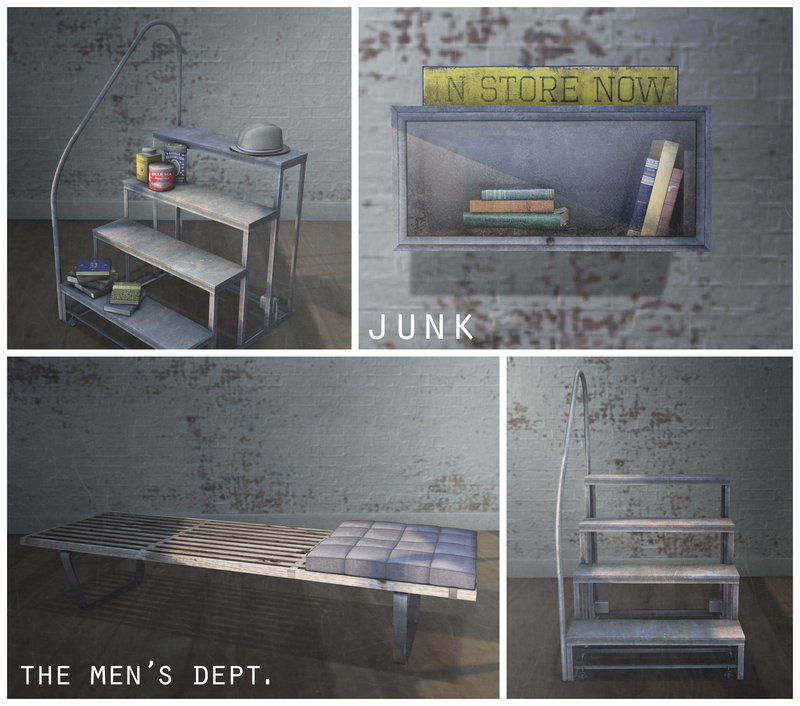 Junk are back at The Men’s Dept this month, and we have released this repurposed furniture set. 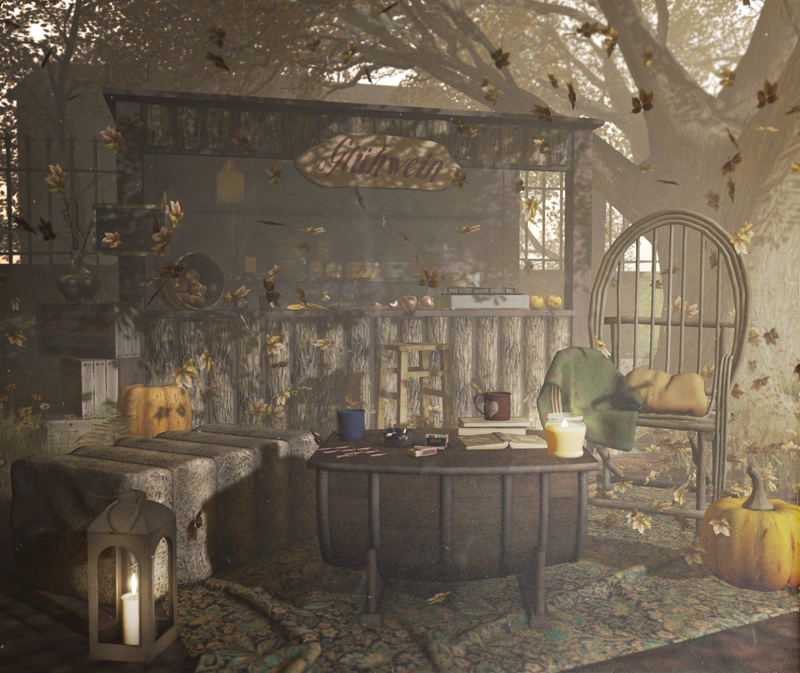 These items together make an eclectic set for your home. The display cabinet is 2 LI, the steps are 4 LI and come with a cluttered and an empty version. The bench, also 4 LI, comes in PG and adult versions. In the PG version there are 10 single animations, 20 ‘friends’ animations (10 at each end of the bench), and 8 couples animations. The adult version has an additional 14 adult animations. 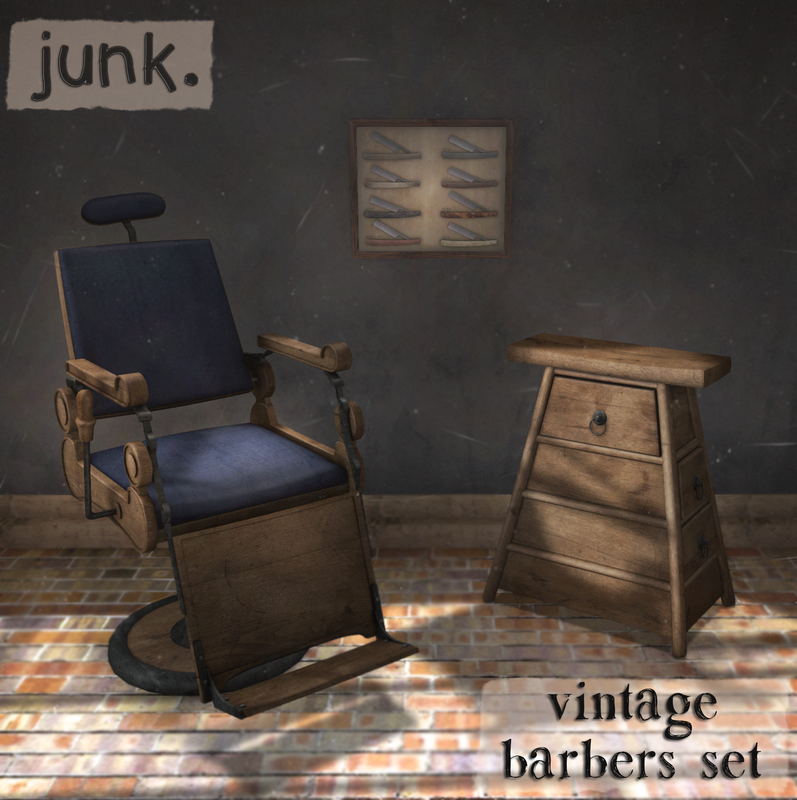 Junk have gone vintage barber overload for The Men’s Dept with this set comprising a vintage 1920s-styled barber’s chair (6 LI), barber’s drawers (1LI), and framed cut-throat razors (1LI). 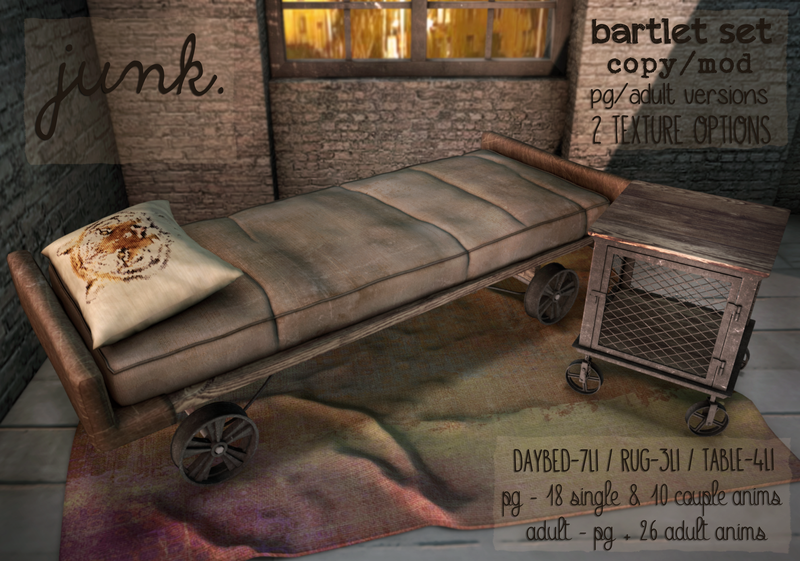 New at The Men’s Dept – daybeds in canvas or denim, wheeled tables and worn out rugs. 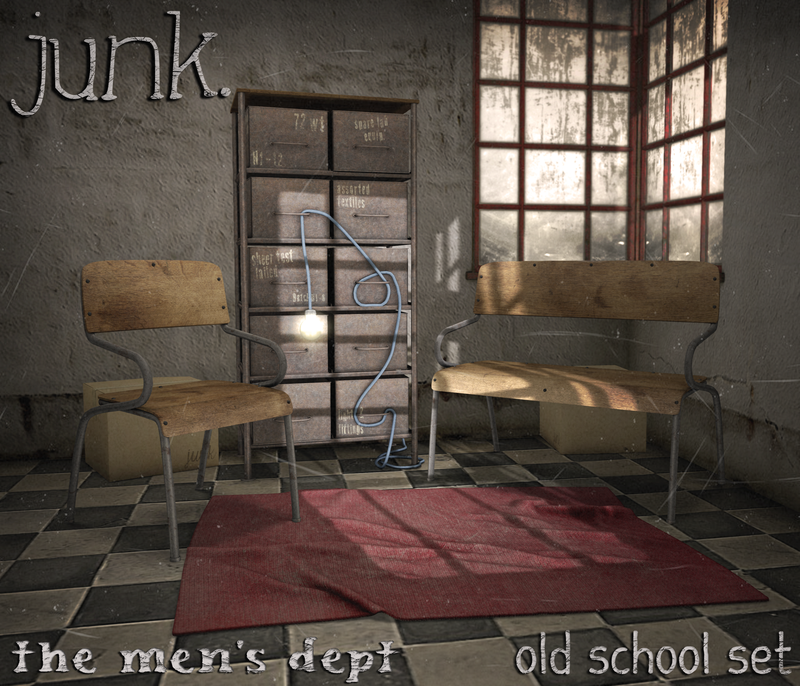 New for The Men’s Dept – old school tube bench, chair and cabinet and now with adult versions! Pg chair comes with 15 single animations and the adult version has an additional 4 single and 10 adult animations. Pg bench has 20 single and 12 couple animations, while the adult version has an additional 6 single and 25 adult animations.